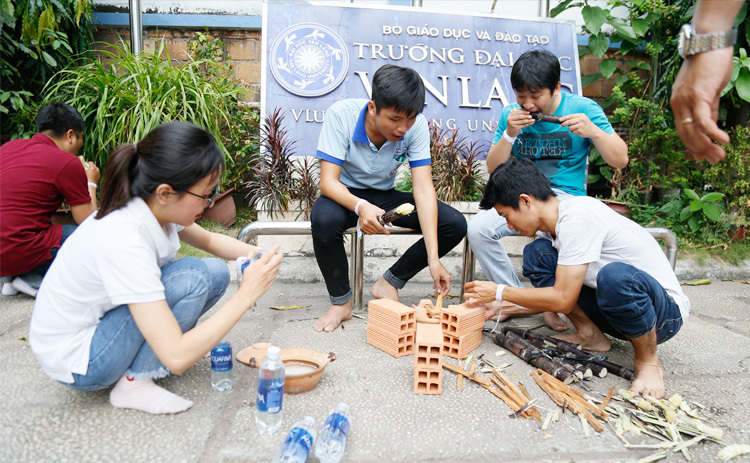 (Admission Office – Van Lang, Sept 13rd, 2018 ) – On Sunday afternoon, Dec 16th, 2018, Van Lang University Trade Union held "Van Lang Connection Day" for all members of the union at the school yard of Campus 2 (233A Phan Van Tri, Ward 11, Binh Thanh District, HCMC). 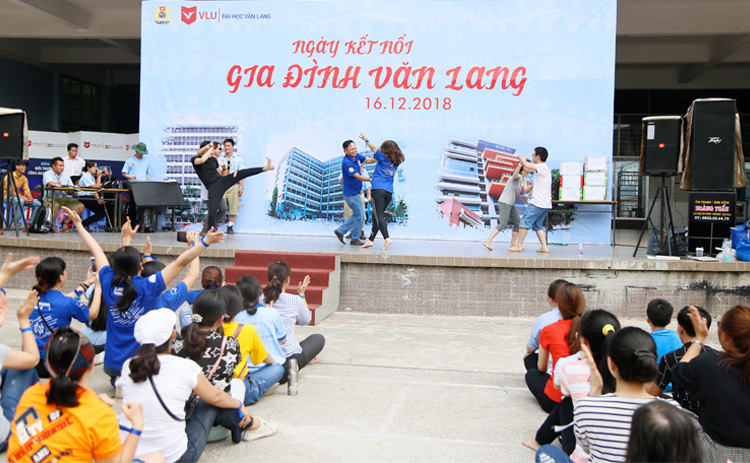 To unite all union members with a joyful entertainment program which is suitable for different ages, working units, strengths and hobbies etc., the Union held "Van Lang Connection Day 2018”. 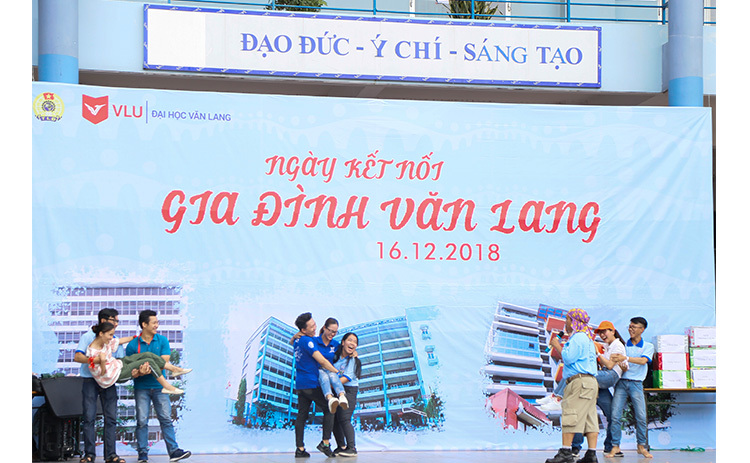 This event was also to welcome the Congress of Van Lang University Trade Union in the 8th term (2018 - 2023), taking place one week later, on Dec 23rd, 2018. 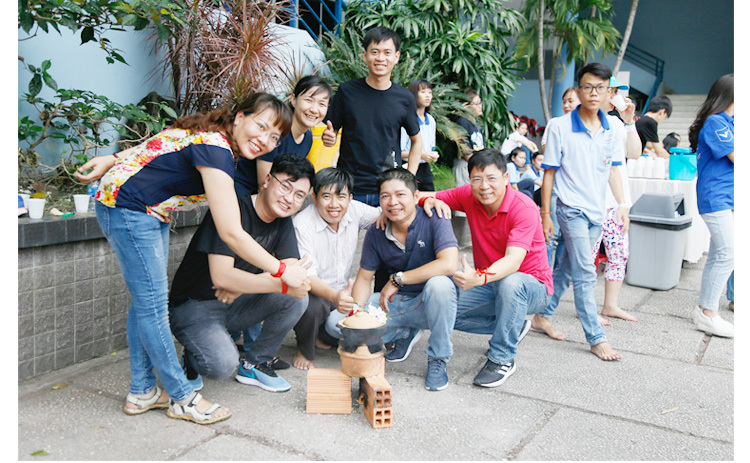 With the enthusiastic organization and support of the professional Sao Bac Dau team and Ba Lo Xanh skill club, the festival was a great success. 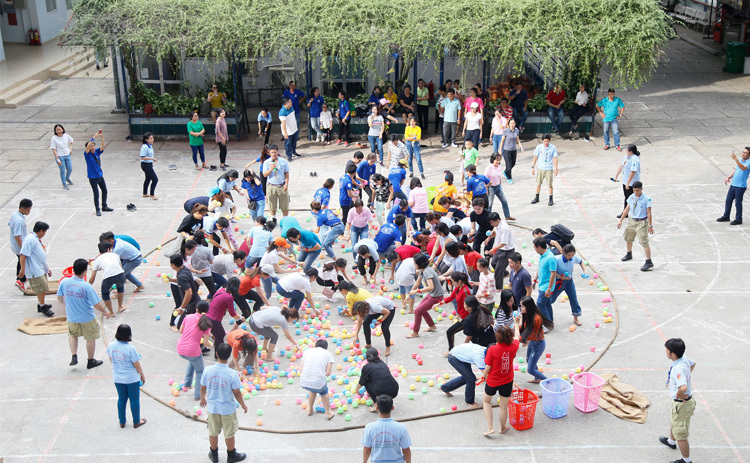 About 150 union members participated in the fun day. 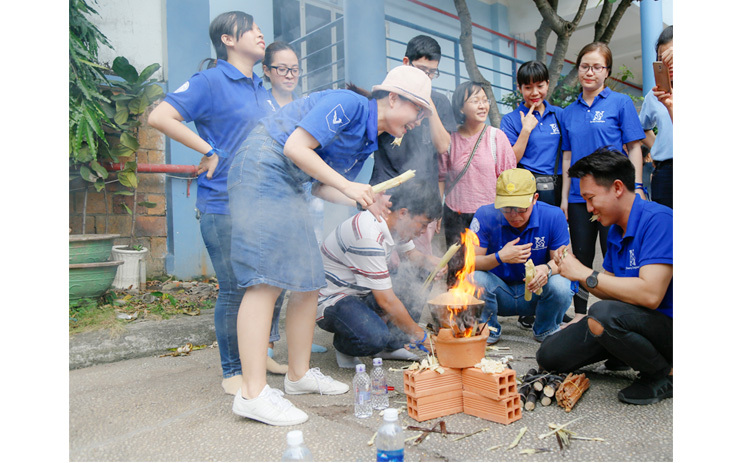 They were divided into 3 teams and named "Caramelized pork and eggs", "Cabbage Pickles" and "Tossa Jute Soup", which are familiar foods in the traditional meal of Vietnamese families. "Caramelized pork and eggs” team wore white ribbons, with union members from the Divisions, Departments, Center, Library, Science Magazine and Basic Science Departments. 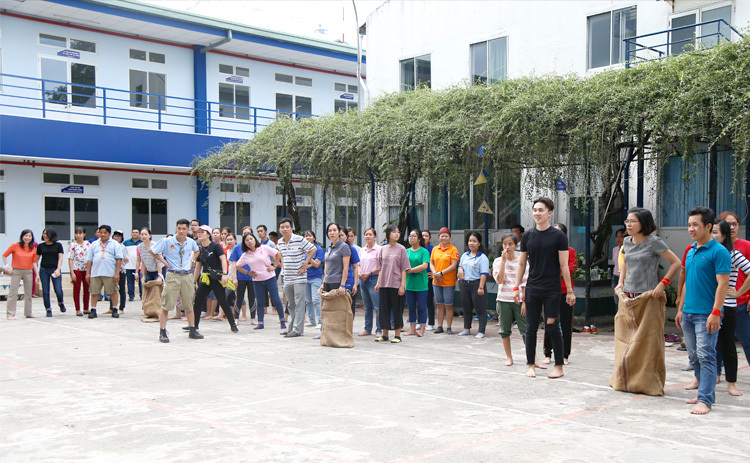 Team leader: Mr. Nguyen Ngoc Diep. 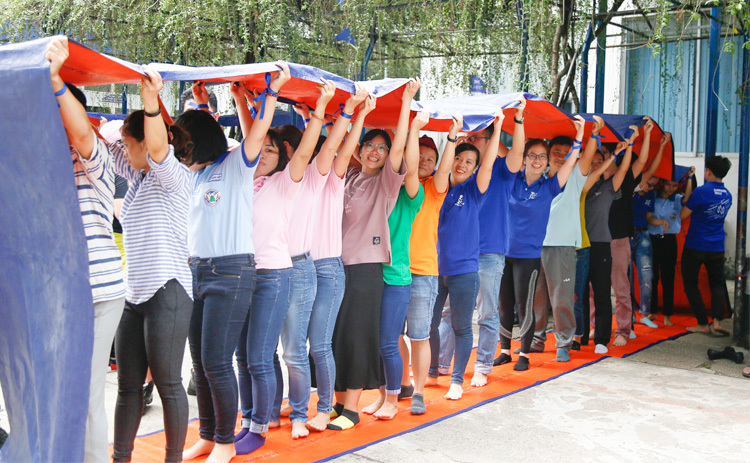 The "Cabbage Pickle" wore blue ribbons, with union members from the Departments of Foreign Languages, Environment & Biotechnology, Architecture, Information Technology, Finance - Accounting, Tourism, Medicine and Pharmacy. Team leader: Ms. Ly Thi Huyen Chau. "Tossa Jute Soup" team wore red ribbons with members from the Departments of Industrial Fine Arts, Construction, Engineering, Law, Commerce & Business Administration, Social & Humanities, Public Relations - Communication & Art. 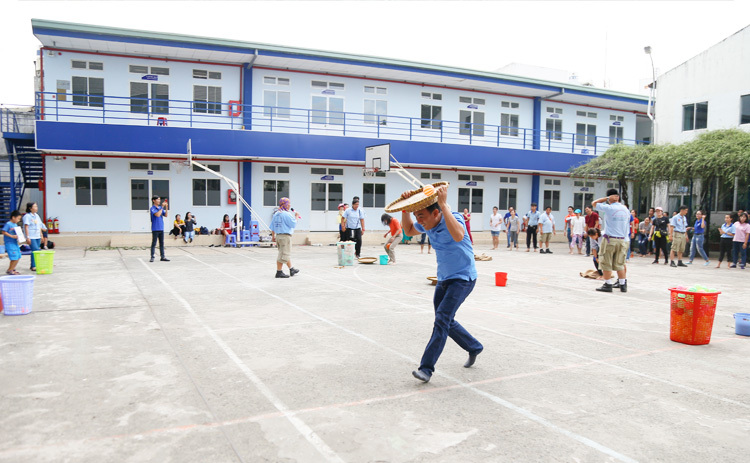 With the funny and enthusiastic guidance, Mr. Huynh Van Toan - General Leader of Sao Bac Dau Club, a lot of team-building activities took place excitingly on the school yard of Campus 2. The games seemed to be simple, but winning it requires a suitable "strategy" of the team leader. 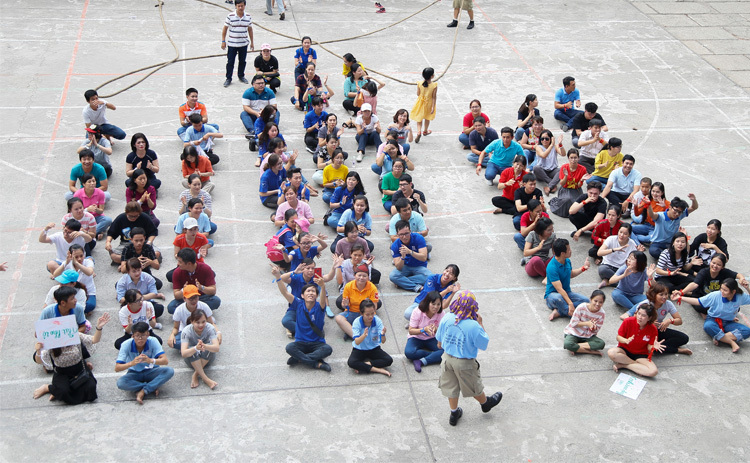 The activities promoted the team spirit and skillful coordination among members. 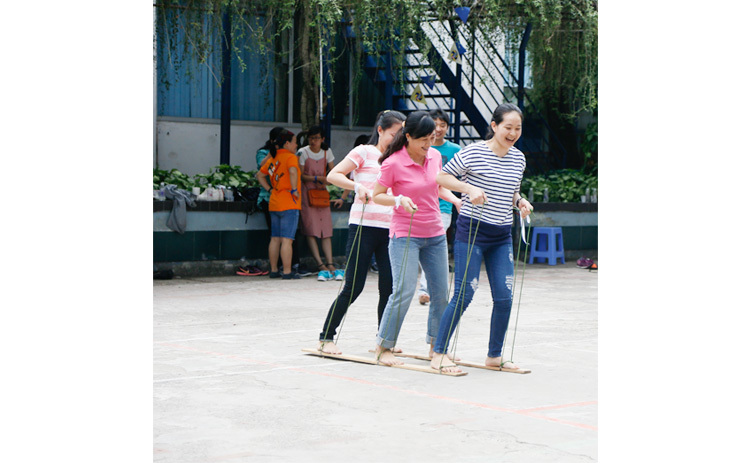 The interesting games such as Piggyback, Friendship wheel, Seven-mile comedy, Time flow, Team volleyball, Aladin flying carpet, Friendship ring, Integration train etc. 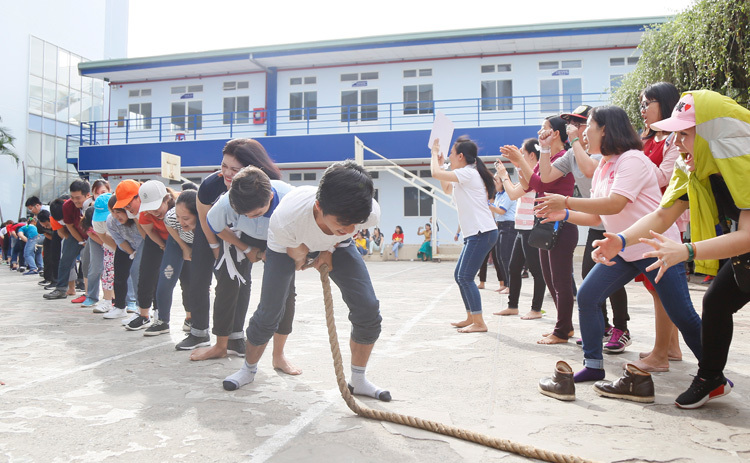 take place sequentially in the cheerful and familiar music, so everyone could participate in the games and contribute to their team's overall result. Challenges and records also brought laughter to everyone. - Male fan with the shortest hair / female fan with the longest hair. - Male fan with the darkest skin / female fan with the fairest skin. - Male fan with the best sumo waist / female fan with the smallest waist. "A small family - A big happiness - Happiness" - the series of themes throughout the event was emotionally and excitedly showed. The result was no longer important, it was the smiles and hugs that were the most valuable prize. The activities in the event were excellently prepared and organized so that it could promote the cohesion and team spirit. It was also a great opportunity for Trade Union Executive Board to accumulate experience to organize next interesting events.